When Hana Fisher moves to the small town of Mixon, Texas to live with her dad, she dreads having to work at the boring pile of dirt he fondly calls a motocross track. But when she gets there, she finds the rinky-dink dirt bike track from her childhood has grown into the most respected racing track in the state. When Hana abuses her status as the track owner’s daughter to help the gorgeous Ryan Russo cheat in the biggest race of the year, she risks more than just losing her job. Every good thing in her life is at stake now- her friends, her dad’s trust, and Ash Carter- the kind-hearted racer who may not be as alluring as Ryan, but is proof that nice guys don’t always finish last. 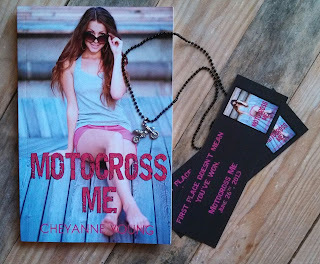 “Motocross Me” by Cheyanne Young was fantastic. IF you are looking for a contemporary summer read this is definitely it. Hana runs away from home and ends up moving in with her father. Hana’s father owns a motocross track, so Hana ends up working there for the summer. What Hana wasn’t expecting were the cute Motocross boys that were riders at the track. Hana starts to get to know Ash and Ryan, two sworn enemies at the Mixon track. Hana immediately falls for Ryan but she soon learns that he isn’t all that he’s cracked up to be. Ash slowly wears on Hana until she believes that she is in love. I really liked “Motocross Me.” I thought that this was a well written summer contemporary novel. I found that “Motocross Me” is a big that you can chill with and get completely lost in the story of Hana, Ash, Ryan, and Shelby. 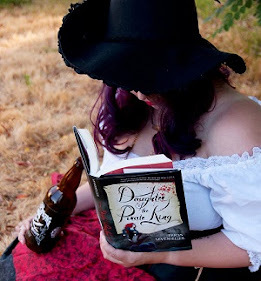 I found myself glued to my e-reader as I wanted to find out what happens next. Young has a way of capturing the reader from the very beginning. Hana has a lot to learn about life, love, family, and friends. Her mom keeps dating man after man always choosing the least desirable ones. After a fight with her mom, Hana moves to Mixon to live with her dad and his family. Hana finds a new friend in Shelby. Shelby andHana become like sisters doing everything together, and gossiping about boys. When Hana starts wondering if she likes Ryan or Ash; Shelby gives Hana the inside scoop that Ash likes her. Hana learns what it is to be a friend, coworker, daughter, and girlfriend. Hana has a lot of growing up to do and it was nice to witness it. Shelby has never had a real friend before. Most girls want to be her friend only because Ash is her twin brother. When Shelby meets Hana, she latches on right away and they become great friends. When Shelby’s family goes through something terrible, Hana tries to be there for them the best that she cans. Shelby learns how it feels to be the pretty girl in the room and have confidence all the while learning to trust someone as a sister and a friend. There isn’t much to say about Ryan. I thought he was a “meat head” to begin with and it turned out that I was right. I didn’t like him at all and I had him pegged for who he really was since the very beginning. Ash is a mystery to figure out. One day he acts like he likes Hana and the next he is completely cold. I wanted to tell him to figure it out and stop stringing her along. Ash is definitely the sensitive type, he keeps to himself and doesn’t go out to parties. He is definitely my kind of boy…except maybe lose the dreads. I would have to say that I liked where the story ended up. “Motocross Me” is a very cute heartfelt story. I really liked how it ended. Part of me wished that there is more and the other part knows that it ended well, so we should just leave it be. I guess it is up to Young to decide where to go from here. I am glad that I had a chance to read Hana’s story and get to know her. I think that she and her friends are fantastic. I give "Motocross Me" four out of five bookshelves. Cheyanne is a native Texan with a fear of cold weather and a coffee addiction that probably needs an intervention. 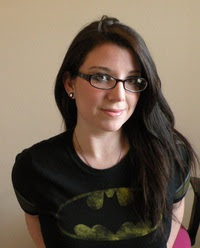 She loves books, sarcasm, Xbox and paid holidays. She lives near the beach with her daughter, one spoiled rotten puppy and a cat who is most likely plotting to take over the world.